The 10 grams (g) Silver Fortuna ingot, or 0.322 ounces (oz), is one of the most notorious ingots on the market. Beautifully decorated with the Roman goddess Fortuna, this was the first design to feature on a precious metal ingot - making it a timeless classic. 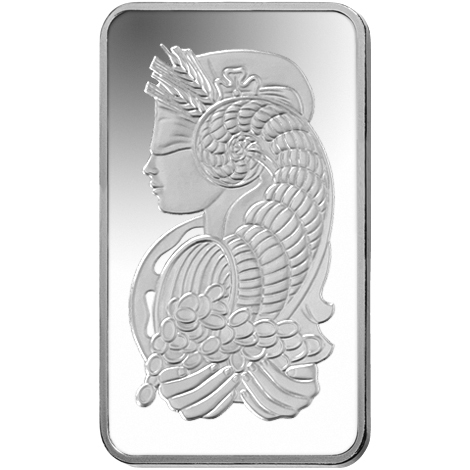 This 10g (0.322 oz) silver ingot manufactured by PAMP Suisse is graciously decorated with the famous Roman goddess Fortuna. The purity of the ingot reaches an exceptional level of 0.999. 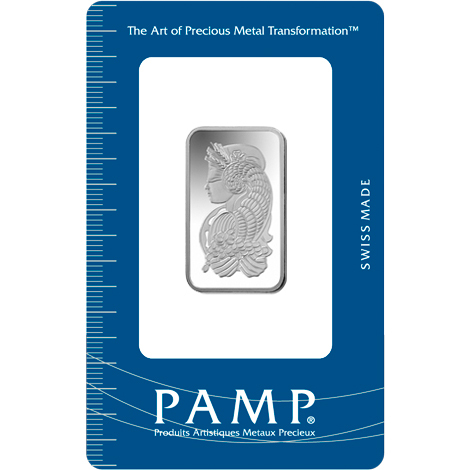 This is the first design to be embellished on a precious metal ingot. This makes "Lady Fortuna" one of the most popular silver designs in the world. This silver bullion "Lady Fortuna" would make a great addition to any precious metal collection, or maybe a good investment. Silver, along with other precious metals such as gold, palladium, and platinum, has managed to preserve investor wealth and counteract inflation. In addition, historically speaking, the price of silver has been maintained and create a greater value over time. 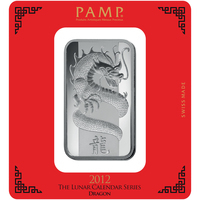 Lady Fortuna was the first creation of PAMP, and it remains the most prestigious. The Roman goddess Fortuna was the young girl of Jupiter, the Roman god of sun and light. She is celebrated as the goddess of wealth, luck and prosperity. She is always represented with her mythical attributes, like the horn of wealth in her hands, with the treasures that come out of it, and the wheel of fortune behind her. 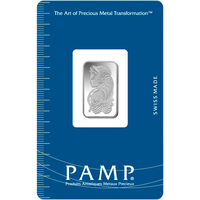 Since its beginnings in the precious metals market, it is the most popular bullion ever produced by PAMP Suisse. Please handle your silver ingot carefully. We strongly recommend using gloves when handling to avoid getting dirty or fingerprints. 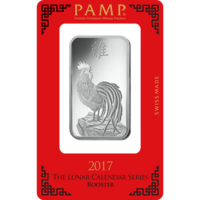 We also recommend that you put away your PAMP Suisse investment in a nice presentation box or showcase. 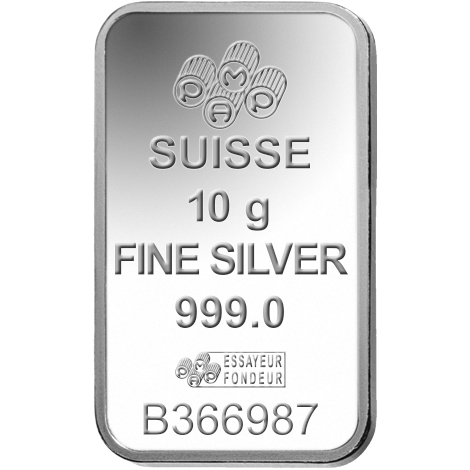 This silver ingot PAMP Suisse is stamped with the beautiful Lady Fortuna. She was a goddess and the daughter of the Roman god of light and sky, Jupiter. Fortuna was the first artistic design to decorate a gold bar. 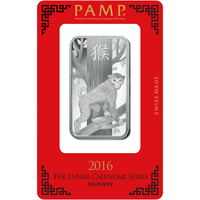 PAMP is proud to have been "the first to embellish its ingots with decorative motifs". These silver ingots are a great way to display and decorate precious metals, making it a unique addition to any collection.